On these pages you will find information on the early years of Silex. 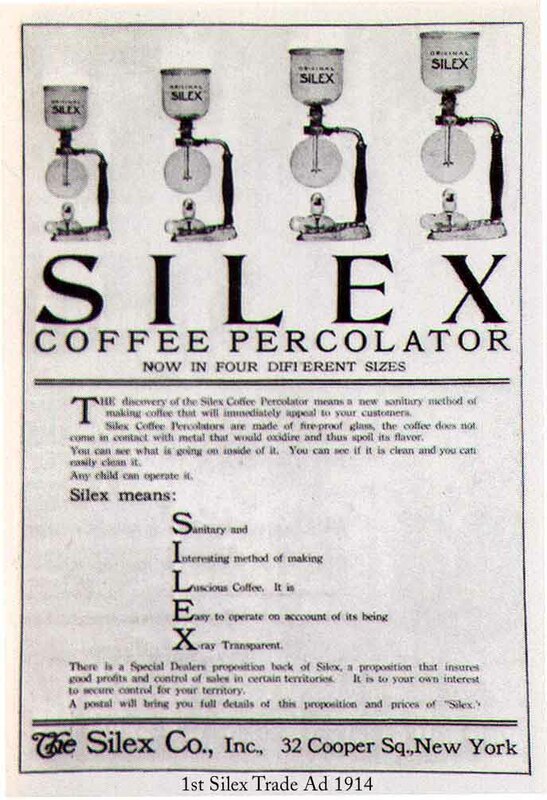 Silex produced a laboratory style vacuum coffee brewer like many that were sold around the world. 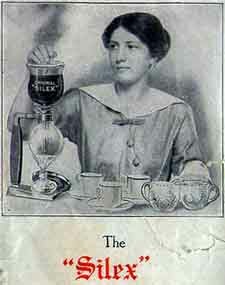 Around 1908 Silex sold their first vacuum coffee maker in the United States. 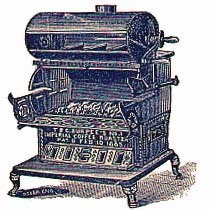 The picture below is believed to be one of the earliest known Silex Coffee Percolators. Click on below image for more pictures. Around 1914 Silex introduced the style shown in the picture below. Clicking on the below picture will give you access to the Silex 1914 catalog.